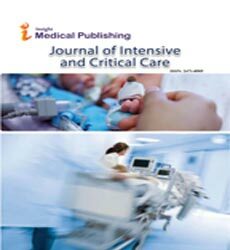 The Journal of Intensive and Critical Care, is a leading international, peer-reviewed journal providing original research, review articles, tutorials, and invited articles for physicians and allied health professionals involved in treating the critically ill. The Journal will include articles which discuss all aspects of health services research in critical care, System based practice in anesthesiology, perioperative and critical care medicine, the interface between anesthesiology, critical care medicine and pain. It is intended for all involved in intensive medical care, physicians, anaesthetists, surgeons, pediatricians and all concerned with the pre-clinical subjects and medical sciences basic to these disciplines. The journal publishes commentaries, reviews, and research in all areas of intensive care and emergency medicine. Critical Care aims to provide a comprehensive overview of the intensive care field and to promote the exchange of ideas internationally in this and related fields. In addition, the Journal encourages submissions considering the different cultural aspects of intensive care practice. Intensive and Critical Care Journals has one of the fastest turnaround times of any medical journal in the world. Generally peer review is complete within 2-3 weeks and the editor’s decision within 2-7 days of this. It is therefore very rare to have to wait more than 4 weeks for a final decision. Critical care nursing deals specifically with the patients who are at high risk for life threatening problems. The patient is kept under continuous vigilance and appropriate care is given. Critical care physicians make sure that the patient gets direct treatment, intensity interventions and therapies and daily assesments. Critical care nursing is to safeguard and monitor the quality of care that the patient receives. Critical care nursing includes the sub-specialties of pediatric, neonatal and adult nursing practice. Intensive and Critical Care medicine is a healthcare speciality that encompasses the treatment of clinical problems of patients with life threatening illness or injury. Some of the critical care specialists include Endotracheal intubation, Use of Mechanical and pharmacological life sustaining therapies, Advanced cardiac life support, Bedside pulmonary function, Insertion of pacemakers and availability of invasive monitoring. Critical care paramedics are the clinical practitioner who provide medical assistance, treatment and care to the seriously ill patients present in the environment outside the hospital. Their aim is to provide rapid clinical assessment and care to the patients facing life threatening problems. They make rapid critical clinical judgements without supervising directly. They are specially trained to be able to provide the best pre hospital and inter hospital care. It is a probiotic which is formulated specially for treating digestive problems such as occasional constipation, bloating and gas and digestive discomforts. These problems can be due to age, stress and poor diet. It contains 10 beneficial probiotic strains and about 50 billion live cultures. Its mission is to relieve digestive discomforts. Pulmonary critical care comprises of a group of Pulmonologists having specialized knowledge and skill in the treatment of serious lung and breathing problems like Acute and chronic pulmonary emboli, Lung cancer, Pulmonary vascular disease, Lung transplantation, Emphysema, etc. The pulmonary specialist is expertise in Neoplastic, Inflammatory and Infectious diseases. They generally work in the intensive care units of hospitals and focus on critical illnesses and conditions. The Pediatric critical care specialists diagnose, treat and stabilize children with life threatening medical conditions. Pediatric intensive care unit consists of life-support technology, heart surgery, cancer therapy, and organ transplantation for extremely sick children with complicated medical problems. Some of the medical problems include: Deep diabetic ketoacidosis, Serious injuries from accidents, Severe pneumonia, Severe asthama, Infections, Allergies. Surgical critical care is related to take care of patients with potentially life threatening surgical conditions. Specialists in the surgical critical care possess advanced knowledge and expertise that enables them to provide the required care to critically ill patients. Surgical critical care has specialized expertise for tissue injuries from trauma, accidents, patients who may be experiencing multisystem organ dysfunction, infections, burns, sepsis, acute inflammation, operation or ischemia. The mission is to provide and ensure best possible patient outcomes by using current best practices. Veterinary emergency and critical care is dedicated to provide quality care to the animals that are critically ill and require intensive monitoring. Veterinary ICUs offer a large number of treatments including Continuous invasive monitoring, ventilation, inotropes and vasopressors, Nutritional support through feeding tubes, Fluid and colloid therapy, Blood and plasma transfusion, Bedside monitoring of blood gases, hematocrit, hemoglobin, electrolytes and colloid osmotic pressure. Veterinary intensive care unit aims to provide a caring environment for critically ill animals and monitoring with the most advanced veterinary treatments available. Intensive care unit is a specialized ward in the hospital where critically ill patients receive constant medical attention and support by trained physicians. Someone who has suffered a serious injury or is seriously ill is first admitted to ICU so that they can get continuous observation, treatment, monitoring and specialized care. Critically illness includes heart attack, poisoning, complex surgery, premature birth, stroke and surgical complications. It is a specialized unit for premature or newly born babies having medical complications. NICU provides advanced technology and specialized care by the Neonatologists. The equipments used in NICU include: Blood pressure monitor, Ventilator Respirator, Cardiopulmonary monitor, Umbilical catheter, C-PAP (continuous positive airway pressure), Nasal cannula or nasal prongs. Intensive care medicine is a practice concerned with the treatment of critically ill patients and the patients requiring high dependency care. Medical specialties includes specific organs or body systems, encompasses patients with the entire spectrum of medical and surgical pathology. Specialists provide all aspects of care for the critically ill patients coming from surgical, medical and trauma disciplines. Advanced organ support during critical illness, life‐saving care that underpins and interacts with all other areas of the hospital is provided. Pediatric intensive care unit (PICU) provides advanced care for critically ill or injured infants and children thorough continuous monitoring, medication and treatment. It is equipped with advanced technology to achieve the best outcomes by providing speedy recovery, improving survival, relieving pain and minimizing suffering. Some of the conditions that cause children to be critically ill are Breathing or lung problems, injuries, Epilepsy and other nervous system conditions, Genetic and Chromosomal conditions, Immune system and rheumatic conditions, Infections, such as bacterial meningitis or sepsis, Acute kidney or liver failure, etc. Inflavanoid intensive care is a blend of Ayurvedic herbs like Boswellia, Turmeric, Ginger, etc. used to relieve acute pain. Some of these herbs have important features like antioxidant properties including vitamin C, quercetin and bioflavonoid complex. It is used for the relief of joint pains, joint inflammations and also temporary relief from the pain of arthritis. In Neurocritical care trained Physicians and Nurses care for patients with life-threatening neurological and neurosurgical illnesses such as massive stroke, bleeding in the brain (intracerebral hemorrhage, subarachnoid hemorrhage, subdural hemorrhage, intraventricular hemorrhage), brain trauma, brain tumors, status epilepticus, nerve and muscle diseases, spinal cord disorders, Brain and spinal cord injuries or complications of brain injury. This unit is dedicated to treat patients with severe and acute neurological diseases.